This apartment with balcony is a wonderful place to relax and to enjoy everything the beautiful, idyllic natural surroundings have to offer! The apartment is fully equipped and the comfortable furnishings will make you feel right at home. The unique thing about Kelchsau is that this pleasant village has all the facilities you need. 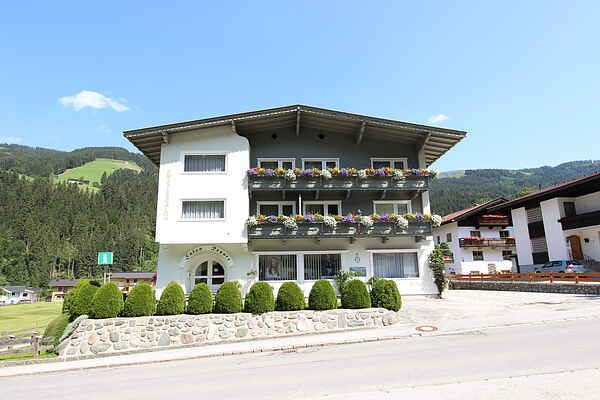 A supermarket, a restaurant, an apres ski hut, as well as the ski lift to Kelchsau's small skiing area...everything is less than 200 metres away! The ski bus will bring you to Hopfgarten, where you have access to the large skiing area of SkiWelt Wilder Kaiser - Brixental. Kalchsau is a walking and recreation paradise in the middle of the Kitzbüheler Alps. It's an ideal destination for nature lovers, but also for those who enjoy culture. The towns of Kitzbühel, Ellmau or Salzburg are certainly worth a visit. Both in the winter and during the summer you'll certainly enjoy yourself here; there are beautiful mountain bike trails nearby and hikers have also been thought of. For information: There is a possibility, if you want to rent several apartments, you should also look at: AT-6361-53, AT-6361-54, AT-6361-55 & AT-6361-59.